< Previous Post Previous post: Mash-Up Mondaytale: It fills you with determination. It’s really funny to read a review from somebody who didn’t play the game back in the nineties. At the beginning, when you said “I only merely tried out the 3d”, I thought “so what is this review about that hasn’t been covered in every other Sonic 2 review?”. But I went on. And I found a very fresh review, free of prejudice and quite honest. 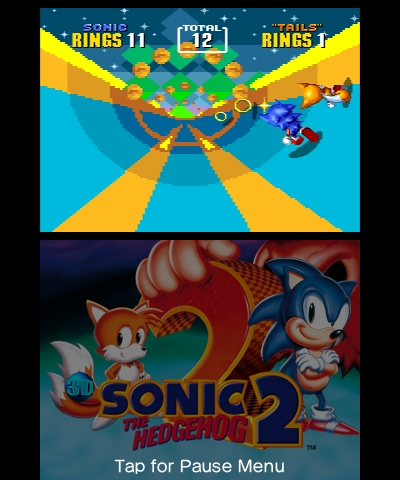 Sonic 2 was pretty much the first game I ever owned (along with Sonic & Knuckles), so I have quite some love for it. My views about the game are completely biased. 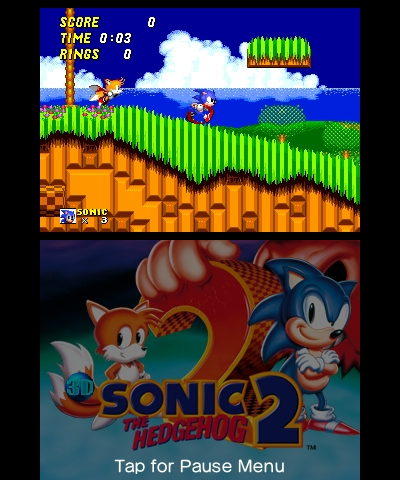 And every other review I read about Sonic 2 has excessive nostalgia – making it seem perfect. Reading your complaints made me remember that at some point in a very distant past I had the same issues, but I was too young to realize they were actual faults from the game and not my incompetence. Loved it! Congratulations! You made me have some fun with your review! Thanks! 😀 I really wanted to review it as someone with fresh eyes which to me is rather rare when it comes with Sonic games from fans. I’m one of those who jumped in with Sonic Adventure 2 Battle on GameCube, so I didn’t grow up with the originals like most folks here have. How is this even relevant? You state many times that you hadn’t played this game in the past or at least very much, and even state that you grew up playing games that didn’t have saving capabilities?! Wth??? What are you, 13?? How is that even possible that you have a job here? My 18 year old brother is even old enough to know those games. So that point right there, that you’re a young, inexperienced gamer, got me already irritated that you’re writing a review on a game that’s 23, almost 24 years old. And let’s be honest, this wasn’t a review on the new version, it was on the old game itself! 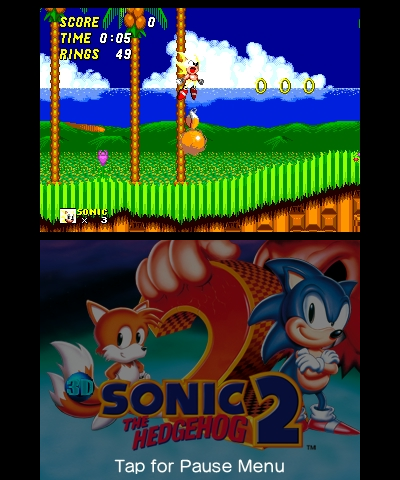 You go on to criticize the game for things that make it, well, Sonic 2! And it’s not that I’m saying you should have praised the game for every single thing, I’m saying you shouldn’t have written this. All the points that you made are completely and utterly obvious (Tails ruining your special stage), or straight up incorrect or at least said wrong (not being able to ever go fast because there’s always an enemy or platforming area). Please strongly reconsider what’s relevant and what people want to read. No one needs or wants this. No, I grew up with games WITH saving capabilities. In the 16bit era I grew up with games like Donkey Kong Country and Yoshi’s Island, I can’t really think of any honestly without save files, except maybe Bugs Bunny Rabbit Rampage on SNES, don’t recall save files in that. I hardly got far in that (but did have fun playing it though). I’m just not fond of the idea of games like this not having save files, that’s all. It’s a personal preference. And as Dash above sees, it’s a review from someone who’s never played the game for more than in small bits. Of course if there are issues that bother me I’ll point them out, this is a review after all. It was very interesting to read a review of an old game in a fresh light, especially from someone who didn’t have the same experience as most people here would/may have had on the same game back then. It kinda keeps it’s relevance today & shows how well a 20+ year old game can still hold up. 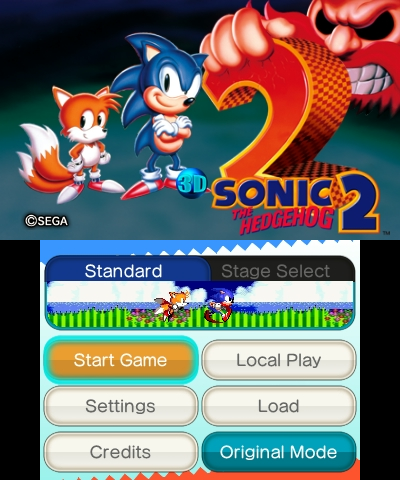 Right now I pretty much have Sonic 2 on almost all platforms I own, but if S3&K comes out on 3DS, I might pick this one as well to finish my 3DS collection! OR you could just buy the Sonic Classic Collection on the original DS for about a fiver, since that comes with Sonic 2 and more with no worthless gimmicks. It’s always nice to read a review from someone fresh to a game which was first released over twenty ago. You’ve made lot of valid points which I agree with, such as the slipperiness of Super Sonic (even normal Sonic has a slight slippery feel to how he controls) and the cheap enemy placement which can easily catch you out if going too fast. Being forced to transform into Super Sonic is annoying (at least the StealthTax mobile version made you have to double jump to transform). The issue regarding Tails in the special stages is kind of a tired argument. Instead of seeing him as a weakness; by anticipating Tails delay in reacting to Sonic’s movement, if you time your movement/jumps correctly you can use Tails to collect a LOT MORE RINGS you would not be able to collect with just Sonic alone. With a bit of practice you should never be losing any rings with Tails. Yeah, nowadays I think the Tails issue adds to the challenge. But it used to bother me when I was a child. 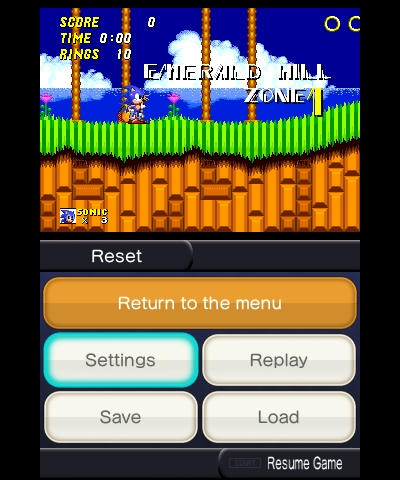 I still wish that the Stealth/Taxman versions of Sonic games get off the damn Android/iOS systems.